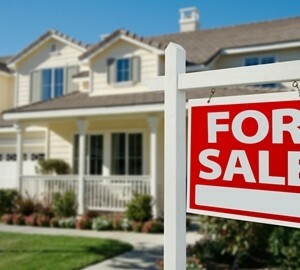 The housing market traditionally slows down through winter, will less listings and sales from October through March. However, because November included five two-day weekends, rather than four, this cooling-off was accelerated slightly, with a sharper decline in sales than anticipated. "November tends to be a slower month, and a decline from October is normal," Andrew LePage, an analyst with CoreLogic QuickData, told The Sacramento Bee. "But a portion of these declines were exacerbated by a calendar quirk." According to the news source, new home sales, resales and condos in Sacramento County were all down about 22 percent from October, the biggest decline since 2007. Furthermore, sales fell 27.4 percent in Placer County, 38.6 percent in El Dorado County and 19 percent Yolo County. LePage also noted that inventory constraints in some markets, lack of affordability for some buyers, tight credit for some mortgage applicants and a drop-off in home purchases by investors also contributed to this decline. This news isn't all negative, however. For buyers this can mark an excellent opportunity to take advantage of lowering prices or a slightly oversaturated market. With less sales comes the opportunity to talk a seller down in price or make other arrangements in your favor during a sale. Winter can be an ideal time to make a move and purchase a home in Northern California, as the market is generally moving slower and you'll have more time to consider and purchase the best home for you and your family. If you're thinking about looking at Sacramento homes for sale, contact me, top real estate agent Jon Hesse. With more than $100 million in completed transactions and a decade working in the local market, I have the experience necessary to help you buy your dream home at the best possible price.